I started working on a new bit of fanart a while back and thought it was about time I added some progress shots to my blog. 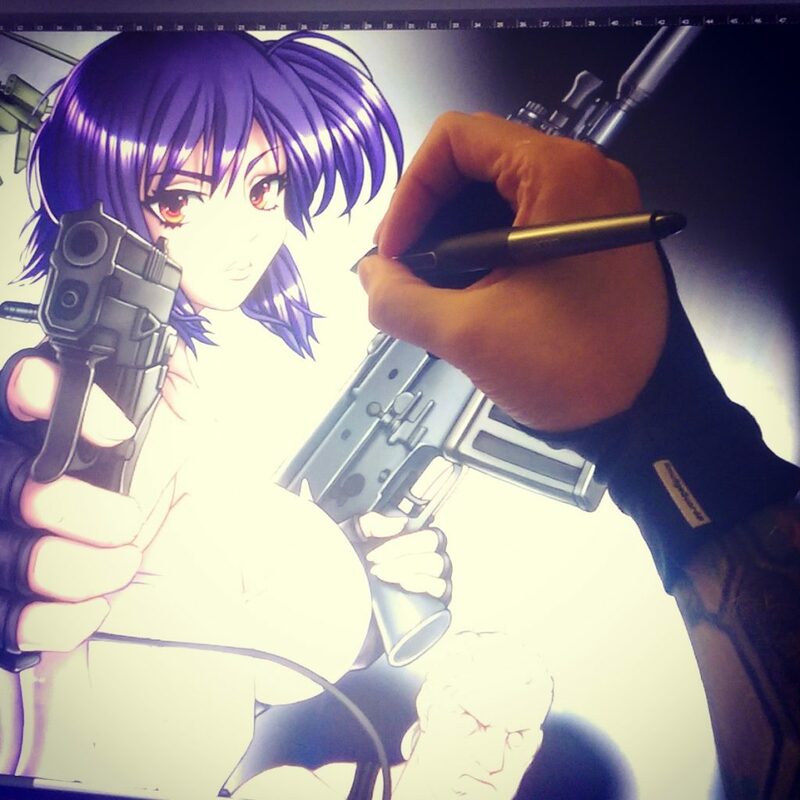 I’ve been a fan of Shirow’s (Creator of the Ghost in the Shell manga) work for 25 years or so. 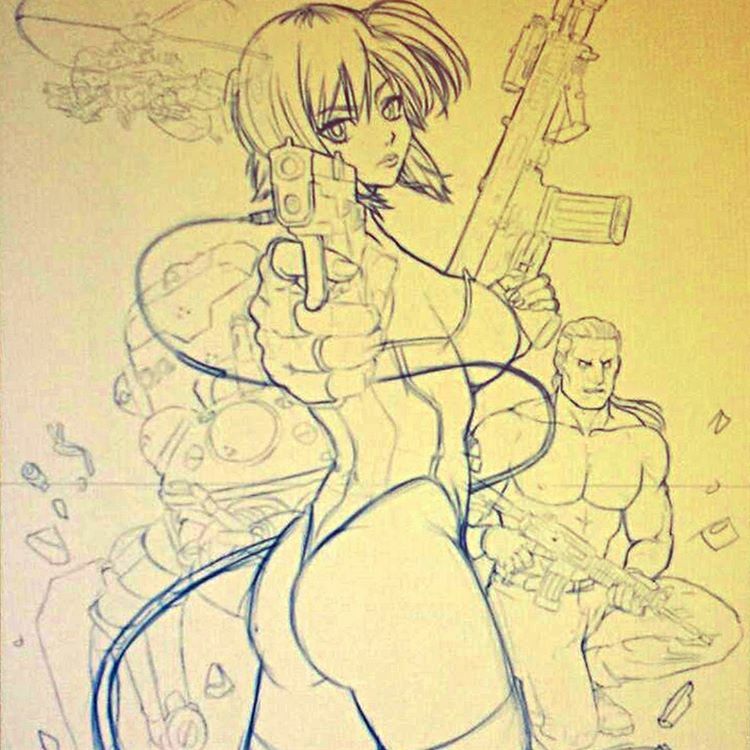 The first anime movie wasn’t bad, but think they really managed to nail it with the ‘Ghost in the Shell: Stand Alone Complex’ anime series. Complex is a good word for it as it’s not your typical, basic ‘good vs evil’ plot, but something I’d recommend to older audiences who want a Sci-fi series with a little more depth and intricacy. I wanted to pay some homage to the G.I.T.S. Solid State Society series with this artwork. I usually start sketching in blue. This time straight into Photoshop. I want to go detailed with this piece so using a lot of reference to help out. The orange fade is just to stop it looking a bit dull, but I’d work with blue onto a white canvas. 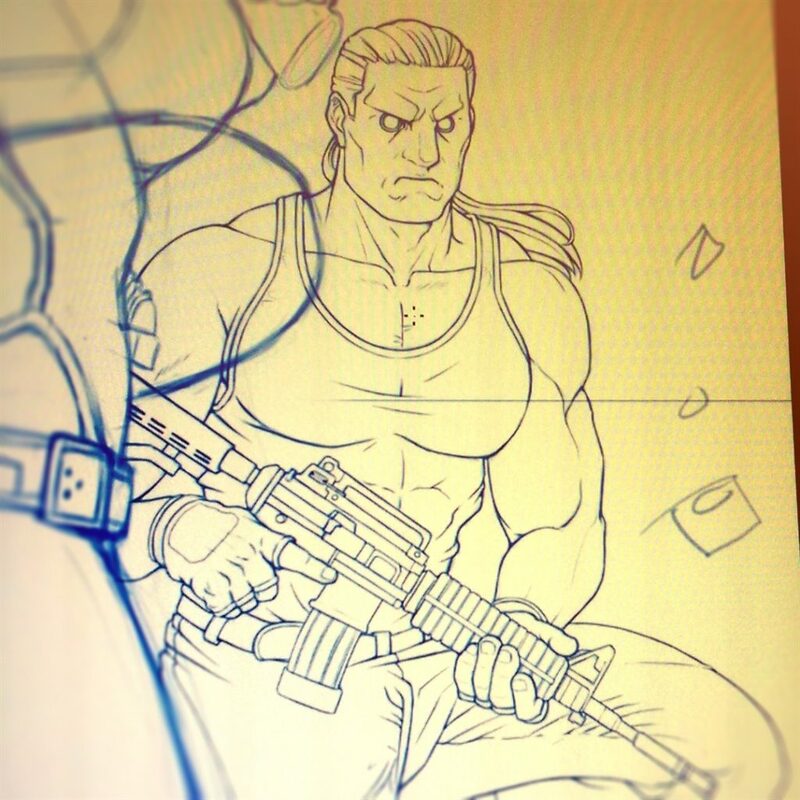 Finished refining the line work for Ghost in the Shell’s main male character, Batou. I’ll just add, I didn’t particularly like him in the GITS live action movie. I didn’t really like the movie in general, but I guess worth a watch and helped introduce the mainstream to the franchise. 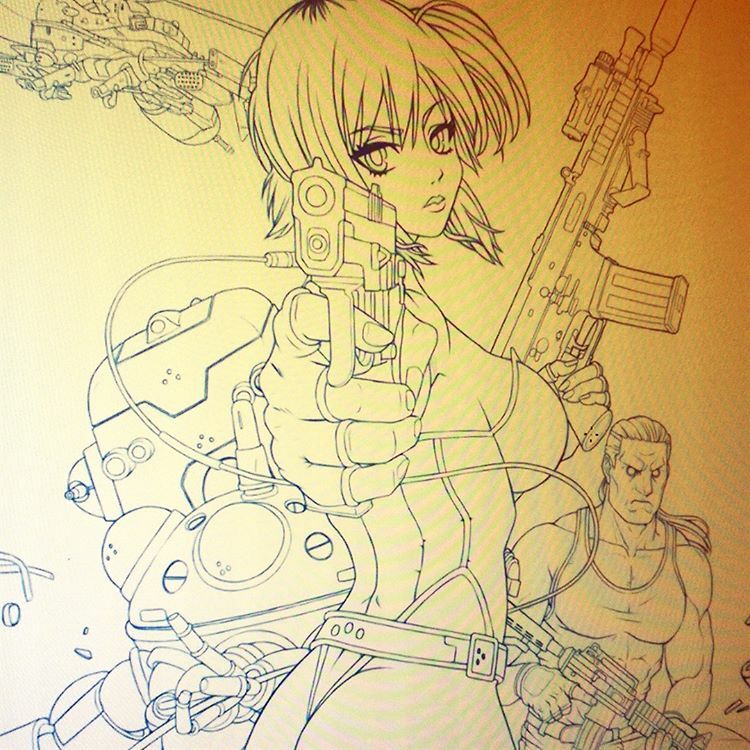 Finished refining the line work for Ghost in the Shell’s main character, Major Motoko Kusanagi and Tachicoma robot behind. Finished laying down the base colours. Some artists might leave it there but I don’t like the way art looks before I start rendering and adjusting the colour pallet. Began rendering. Usually I’ll work my way through rendering each colour, then I’ll begin adjusting the pallet, tones and contrast afterwards. It’ll be several more hours until I’m finished with this one!..